Most people would say there is no way to know what will happen in the future, but there are those people with extraordinary abilities who can predict the future, prophets like Jesus, Edgar Cayce, Nostradamus, etc... In this book we will examine their prophecies to get a clear vision of what will happen in the future, and how it will effect all of us. First, we will examine the prophecies of Isaiah, Ezekiel, Jesus, and the other Bible prophets. They predict wars, earthquakes, famines, earth changes, and the mystical transformation of humankind to a higher realm of consciousness. 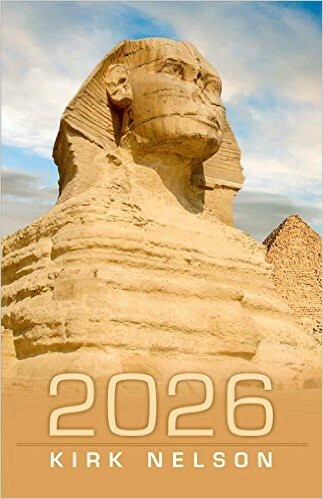 Second, we will look at the prophecies of America's greatest psychic, Edgar Cayce.Cayce's prophecies about the Great Pyramid and the Sphinx are of interest to us because these monuments were built as prophecy in stone. Beneath the Sphinx was placed a Hall of Records which will soon be opened to reveal the history of Man from the beginning. We will look at evidence of where the entrance to this Hall of Records is, and when it will be opened. Also, we will examine the prophecies contained in the Great Pyramid of Giza, where a French architect has discovered secret unopened chambers. Third, we will examine the physical history of the human race, from primitive man to the new type of human body which will emerge in the future, the so-called Fifth Root Race, and how the sons of god used DNA introgression to create modern man. Fourth, we will examine the history of UFOs and alien intervention on our planet from the Battle of Los Angeles to Roswell to Belgium to Phoenix. We will look at what the aliens have been up to the past 70 years, and what they will be doing in the future. Why were they so interested in American nuclear bases? Are they preparing to change human DNA to create a human hybrid? Are they aliens or angels? Finally, we will examine the incredible astrological aspects from 2024 through 2027, and how this could be the time period when all these prophecies will be fulfilled.